Of all the important details that go into a memorable engagement, your ring is probably the one piece that will never go out of style. Finding the right engagement ring can be daunting, especially for the unconventional bride-to-be who dreams of a more unique engagement. If this sounds like you, a custom-designed engagement ring is likely the best option. Here’s why. Most engagement ring seekers spend about 3.5 months shopping around, according to one recent study by The Knot. The same study found that about 45% of rings chosen, incorporate some custom design element. So why are so many people now choosing custom-designed rings? Large chains sell to hundreds of customers each month, meaning that they can’t possibly devote much time and attention to you and this special transition in your life. A custom engagement ring designer, on the other hand, will make you feel like part of the creative process in the lead-up to your big moment. They simply have the time and motivation to offer a more collaborative, personalized experience that you just don’t get in a conventional retail setting. When buying a ring from a major chain jewelry brand, you really don’t know much about the history of your ring and its materials. For those more socially conscious fiancées, it may be important to find an ethically-sourced and conflict-free ring. You can simply ask the salesperson about this, but how much do they really know? A great deal of craftsmanship goes into building your engagement ring. How ideal is it to be able to speak first-hand with the ring designer themselves? Independent designers like Jonathan Stein are happy to answer questions and educate their clientele. 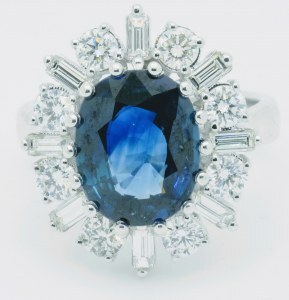 Custom engagement ring designers are also more knowledgeable than your average salesperson. Jonathan enjoys educating clients on how the ring is created, from beginning to end. Today’s bride-to-be isn’t content with finding the most traditional and popular style available–although traditional styles do often swing back around. Why go for tried-and-true when you can create something bold and new? She knows she can capture some of her personality and unique aesthetic in her jewelry choices. Today, not only can you be part of the creation of your ring, but you can have complete freedom to choose which elements you love or don’t love, from your gemstones and cut to the colour of your precious metals. There are countless ring settings to choose from. A custom experience gives you time to try them all. You have control over the details. There are many elements you can modify—thickness of the band, size of the stone. Personalize and add sentimentality with embossing or engraving of your fiancée’s initials, for example. Incorporate a piece of your own history by bringing your own vision to your designer and allowing them to bring it to life. If you have a piece of your own—maybe a gem or a piece of metal from an old ring—you can bring it in, and have it incorporated into your chosen band. There are many colours, clarities and cut grades to choose from. Be unique. Get exactly what you want. Think outside-the-box and consider alternative styles. When given the choice between a major jewelry retailer and a small independent jeweller, why not go local? Many neighbourhood jewelry shops are family businesses passed down from one generation to the next. Their story is engrained in the community, and, likewise, they have been a part of countless milestone events. Taking your ring search to someone local—rather than heading out to a major retailer—will only make it more special. Large chain jewelry brands mass-produce their rings and aren’t likely to give you the whole story when it comes to quality. The process of customizing a ring is immersive and includes drafting original designs, model-making, casting, polishing and stone setting. One difference in the fabrication process of a ready-made ring is that the diamond is usually mounted last. 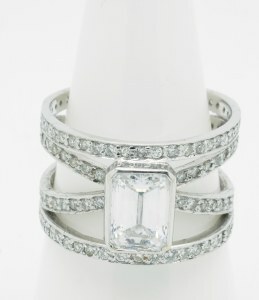 Custom ring designers know however that your diamond is the most important piece and should be placed first. Form should follow function for the perfect proportion and balance. This means the prongs which hold your diamond must be crafted first. It’s important to understand the Four Cs of custom engagement ring selection and to be familiar with your options for fine quality materials. For example, what’s the difference between white gold and platinum? Which metal best complements your stone? Ring-shoppers are often so focused on their centre diamond that they forget about their secondary and side diamonds. Jonathan Stein takes the extra time to teach you a bit about the materials being used and which fit your style best. Your custom engagement ring will likely be the first of many special pieces of jewelry you purchase for yourself or loved ones down the road. By finding your match in a custom ring designer, you have access to an expert who not only understands your personal style and preferences, but also your most important personal milestones. When it comes time to buy your wedding band, or other treasures for loved ones later on, you’ll have a consultant who knows you personally. And when you need to adjust the sizing of a ring, your designer will be able to find the perfect fit. 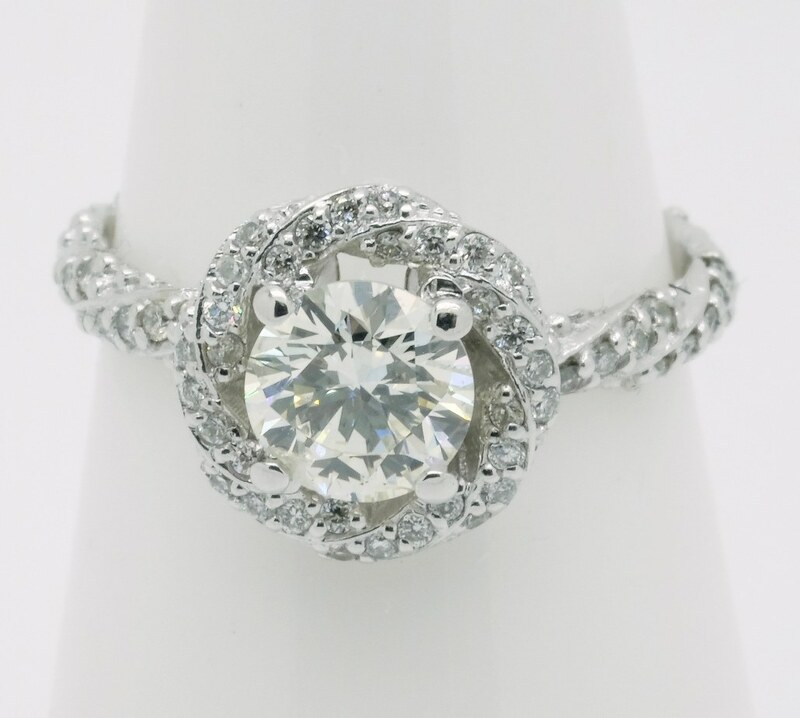 Ultimately, your engagement ring is too special and important a decision to be made in a chain retail store. 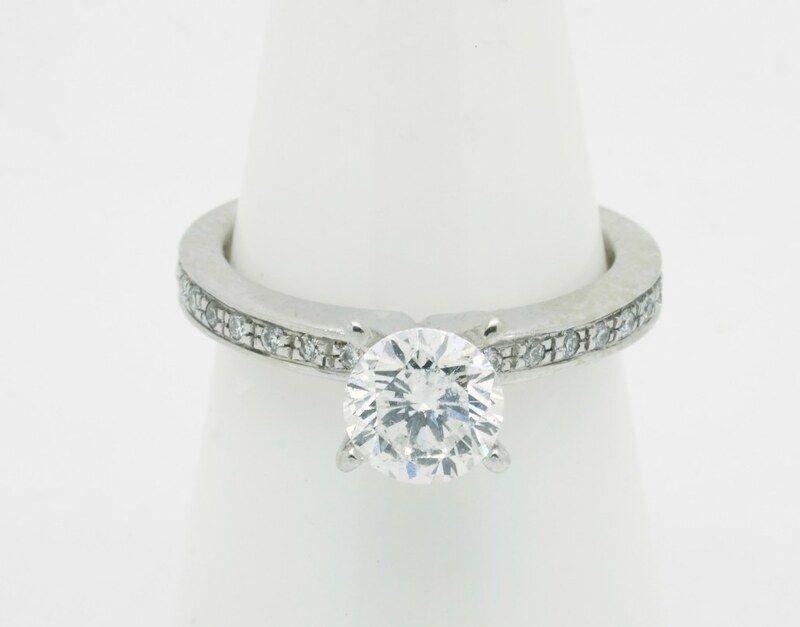 The best way to ensure quality, personalization and originality is to consult with a custom engagement ring designer.